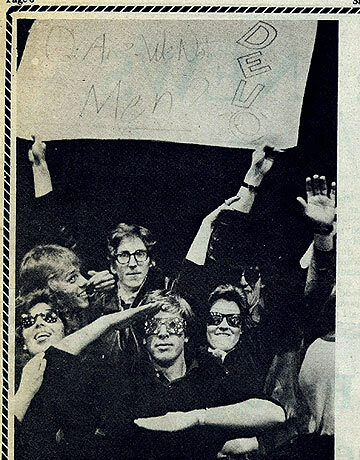 DEVOtees in action - Photo taken at The University of Nevada Reno during a DEVO concert in 1980. The guy holding the sign is John Montgomery (R.I.P. ), the girl to the far left in dark shades is Mary Anna Replogle, and Trace Robbers with his now wife DeeDee are in the front row.